A former operator of a spa that’s entangled in a prostitution investigation responded Wednesday to top Democrats’ call for the FBI to investigate her because of her ties to President Donald Trump and China. Senate and House Democrats requested the FBI open criminal and counterintelligence investigations into Yang, reported ABC News. They point to media reports claiming Yang’s company GY Investments sells opportunities to get close to Trump to Chinese clients. ”Although Ms. Yang’s activities may only be those of an unscrupulous actor allegedly selling access to politicians for profit, her activities also could permit adversary governments or their agents access to these same politicians to acquire potential material for blackmail or other even more nefarious purposes,” the Democrats wrote in a March 15 letter according to NBC News. Yang told NBC News she has lived in the U.S. for roughly two decades and has not had contact with any Chinese government officials. Yang has made numerous social media posts of photographs with Trump, including a selfie with the president at a Super Bowl party at the Trump International golf resort in Florida, reported NBC News. She is “part of a network of organizations pushing for Taiwan to return to Chinese control and that fall under the oversight of the Chinese government,” reported the Miami Herald. 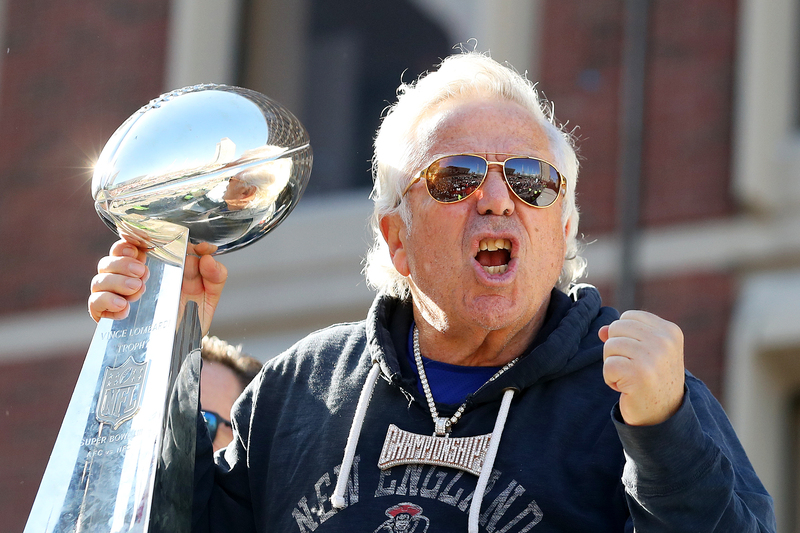 Kraft is expected to reject a plea deal that would result in prosecutors dropping criminal charges against him for allegedly soliciting prostitutes, according to reports Wednesday. Many pundits have weighed in on the scandal, including CNN’s Michael Smerconish, who called investigating Kraft “the largest waste of resources since Jussie Smollett” on Feb. 23.